In the creation of my digital artefact I’ve chosen to explore the impact of multi-modal representation upon a written text. Or to put it another way, can a multi-sensory experience ‘bring words to life’? For this exercise, I decided to create a simple, short film using The Shout, a work by acclaimed English poet Simon Armitage. I had the good fortune to see the author at a recital during this year’s Edinburgh Book Festival and felt he invested incredible emotion into words. I thought it would be interesting then, to explore whether the emotional meaning of one of his poems might change when mediated digitally. As a contrast meanwhile, this is a recital of the poem by the author (starting at 1:15), without the power of graphics, or Morrissey & Marr as a backing band. I know which representation I prefer, but I’m interested to hear what you think. At one point Armitage, introducing his poem says: “at that point where the experiment breaks down I try and get the poetry to rush in to fill the gap”. I think your digital artifact is breathless, poignant, it fills a gap and makes another, it crosses boundaries and genres and holds mystery and is altogether a breathing wonderful artifact. Thanks for your positive words. I admire Simon Armitage therefore I enjoyed making the clip. Since posting the clip last night however, I’ve spent some time pondering whether I had the authority to manipulate his work, particularly as it was such a personal poem. Just because ‘I could’ doesn’t necessarily mean ‘I should’, if you see what I mean. A very moving artefact James. I think I preferred the clip showing Armitage reading his work. I think poetry is an interesting one to consider amongst the notions of transliteracy and multimodality. After singing the praises of multimodality for the past week or so, your artefact has made me rethink things…which is always good. Written poetry seems to be, to me at least, distilled language, where every word is carefully chosen and placed. In this way I don’t think that poetry ‘needs’ to be multimodal. Poetry is itself a consideration of what language is; its limitations and its range. Poetry seems to be as much a comment on language itself as on the themes it describes. In this way, I think adding images and music miss the point of poetry. Poetry is conscious of multimodality, in that it deliberately ignores the other senses, and comments on the emptiness, or the vacuum of language. It is about how we as an audience reconstruct the uni-modal into holistic meaning. Having said all that, I really enjoyed watching Armitage speak! Particularly in the second poem, about the whale, I thought the words of the poem could be interpreted as quite jolly and amusing, yet Armitage delivered them, it seemed to me, in such a torment. I was absolutely captivated by him. The visual dimension seemed to add a boiling anguish and suffering underneath the words, that brought a whole new aspect to the poem. I was quite speechless afterwards…..Have I just completely contradicted myself…good, I like it when I do that. James, re your comment about whether you had ‘the authority to manipulate his work’ there is an argument that says that as soon as you add in your own creative input, it becomes another entity, a new creative product. Everyone is a ‘plagiarist’ to some extent – each new act of creativity is built on or sparked by someone else’s ideas or expression, no? I like your meta-analysis of the issues with remixing for your artefact, James. I wonder if you (or any of us) would have batted an eye at using just the text of the poem, rather than the poet’s voice. We’re more used to the idea of texts as having their own presence in the world, separate from the ‘person’ who created them. On the other hand, people create their own ‘fan made’ videos for songs all the time. Something about the face, the voice, is perhaps harder to see as a circulating cultural artefact? I’m intrigued and will be thinking about this more. I really, really like this artifact, James. I think it stands alongside the original rather than replacing or sitting below it. Being your own interpretation – the general aesthetic, the pictures, the music, the choice of text & voice, even the font make this something about you as well as the wonderful Simon Armitage. I’m with you. I think the ’stripped back’ original has more impact. It’s almost like true emotion versus created emotion. Playing my clip back now, I think ‘the boy whose face and name I can’t remember’ has gone from being a real person in the original poem, to a manufactured character – like something in a film (although that still carries an emotional impact). It’s as if each new layer of representation takes me further away from the reality of the original. Like you, that’s contrary to what I previously thought so maybe that’s another example of the importance of aptness. To use the above example, for me Simon Armitage’s delivery is inseparable from the poem. The poems come to life when I hear or see him reading the words – I need that form of mediation to really take meaning from the poem. I’ll hold my hand up and say that although I enjoy reading his poems, I need to ask Mrs s0900191 to explain them to me afterwards! Good point Noreen, I agree in principle. However on this occasion I think I’m a little uncomfortable about having manipulated the clip because of the subject matter of the poem. Is it disrespectful to the author who has shared a personal story? And is it appropriate that I’ve conducted an experiment (although hopefully a sensitive one) based around the sad story of the boy whose face and name the author can’t remember. Maybe a case of (digital) power without responsibility? Absolutely, that’s how it feels to me. None of this is my own – the words, the delivery, the music – however it does feel personal. I think that supports Noreen’s earlier point that, ‘as you add in your own creative input, it becomes another entity, a new creative product’. Every lip-smack, rustle of paper is of interest when I watch/hear an artist perform a rendition of a piece of spoken work. What you said about ‘cutting’, James was right – I think Kress disputes that artists such as Simon Armitage deserve to deliver texts in authority, and that all texts are ‘up for’ manipulation. Distilled language – I am probably in a minority of Secondary School teachers who enjoys the challenges of teaching poetry (let alone confident enough to set creative writing tasks to produce such work). Again, at which point can distilled narrative be truly entered – should it avail shortcuts that perhaps Thomas Hardy or other novelists work does? James, after reading Spalter, I am intrigued by the suggestion that the teaching of “critical viewing is underdeveloped compared with the teaching of critical reading”. That said, Spalter also makes mention of our historical and perhaps innate “suspicion of images”. I am inclined to believe that if we are not formally taught to be critical with regards to visual imagery, then much of what we do understand is probably ingrained from being regularly exposed to manipulated imagery (advertising, magazine covers, TV, filme etc.). This was probably no different in previous eras, when portrayals of battles and oil paintings were known to often be manipulations of the truth. Anyway….my point is that the perceived difference between the poetic representations may be due to our potential mistrust of the imagery. I think you have done an absolutely superb job, and created something extremely poignant – utilising an intelligent array of aural and visual representation – that in many respects goes beyond the original reading. However, there may be a possibility that we “know” that the representations are designed to leave an impression – and that a form of lens is being applied between the author and our emotions – perhaps this is subconscious. 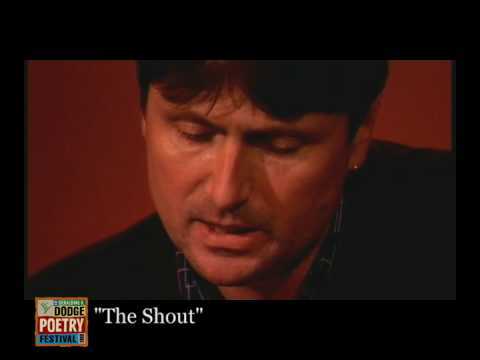 This has been mentioned already within this thread, but watching and hearing Simon Armitage recite this poem may remove any perceived lens, giving the impression that we are in touch with an unaltered and original version. Hello Mark, thanks for comments. I felt that Spalter and van Damm seemed to imply that, by and large, the prevalence of image manipulation can be tracked to the development of digital media. Stalin’s systematic manipulation of photographic images tells us another story. I am going to echo everyone elses comments as I agree the poem itself is incredibly moving. I found that your artefact caused me to concentrate on the poem itself as I got not only to read the words but hear them also. When Simon read his own poem, and described the meaning behind it, I didn’t find this as interesting! Shame on me for being a bit of a literary heathen?! Hi james – such a considered artefact. There is so much I liked. I would have loved you to add an echo too as an extra layer. Adding layers helped me get a handle on a sort of spacial literacy too somehow. My highlights include the fact that your voiceover kicks in at the line that includes ‘we were testing the range of the human voice’ The empty spaces represent his disappearence from sight and the emotive last line – actually needs no sound or imagery to convey its meaning so perhaps cut the voice over at that point? as the words ‘I can still hear you’ carry beyond the grave – this is a point I picked up from Michaels artefact too regarding Van Gogh. You have a great eye for conveying a message – your whole blog is representative of this I think! Firstly, thanks for the positive feedback – much appreciated. That’s would’ve been a great idea. Yesterday I worked out how to create echo on Dennis’s voice to create the ‘gallery effect’ in one of my blog posts. A week too late! Glad you liked it – you’ve grasped exactly what I was trying to do with that. One of those rare occasions (for me) when things just seem to click. Thanks again. Your comments, like everybody else’s, have helped me to read new meaning in the clip. It’s quite exciting really.